Less Time Maintaining. More Time Enjoying. The fun of having a pool comes from spending time in it. Fortunately, the latest pool equipment makes everyday pool maintenance faster and easier than ever. That means you spend less time and effort maintaining it and more time enjoying it. This is particularly true when it comes to maintaining the look and feel of your pool’s water. Today, not only is cleaning a less hands-on affair, there are also automatic pool cleaners for every configuration and budget. 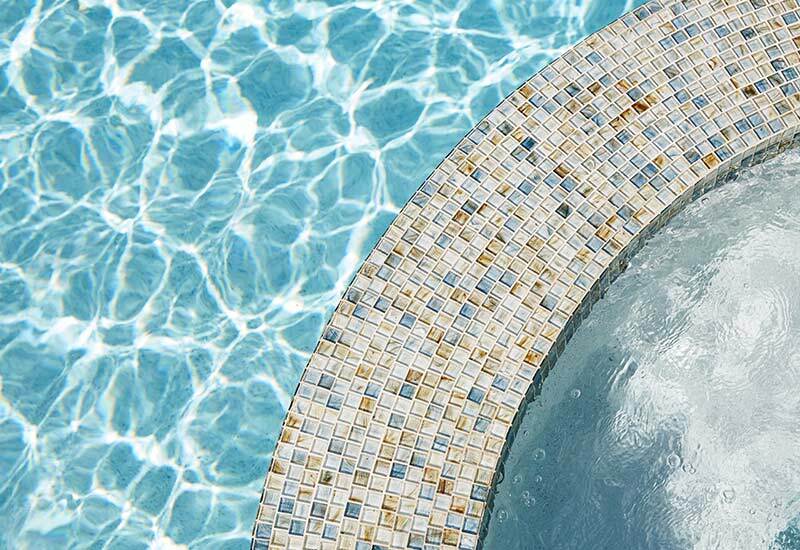 While each tends to fall into one of three design categories, all of them rid your pool of dirt and debris quickly, quietly and efficiently. They just differ in how they do it. Suction-side cleaners connect to the pool’s suction line and use its pump and filter for operation. The cleaner moves itself around the pool floor, sucking debris through its hose and into the pool’s circulation system, where it gets trapped by the pump basket (in the case of larger debris) and the pool’s filter (for finer particles). Most models also climb walls. These cleaners tend to have few moving parts, which makes them simple to operate and maintain. They are also generally the least expensive type of cleaner to own and operate. Robotic cleaners are a newer, “plug-and-play” solution. These cleaners are ready to use right out of the box. Relying on cord-supplied, low-voltage electrical power, they collect debris in an onboard bag or container. 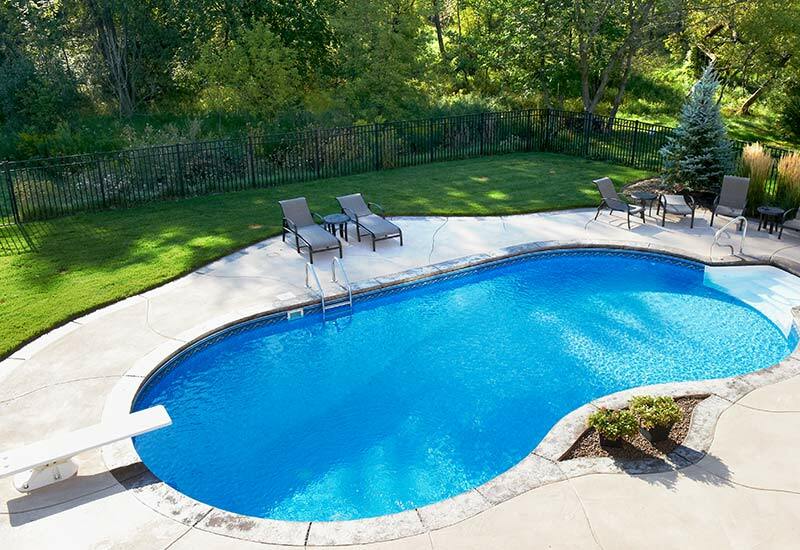 Since they are fully self-contained, robotic cleaners do not connect to the pool’s circulation system, eliminating additional wear and tear on the pool’s pump and filter. Robotic cleaners are the fastest growing of the three categories thanks to their energy efficient performance. Today’s sanitizing equipment makes it even easier to control algae, bacteria and the other naturally occurring biological contaminants that can cloud improperly maintained water. The result is the crystal-clear look of healthy pool water. These automatic sanitizers make the task more accurate, safer and more economical than ever, especially when combined with newer automation systems. Salt chlorine generators automatically produce sanitizing chlorine when you add salt to the pool water. This eliminates the need to buy, transport, store and handle chlorine compounds. As the pool water cycles through the generator, the salt converts into chlorine. Once the chlorine is consumed, the salt remains in the pool water and the cycle continues. Most units have low-salt indicators that provide alerts when salt needs to be added. Ultraviolet (UV) disinfection sanitizers use UV light to control bacteria and other pathogens with 50% less chlorine. As water passes through these simple units, UV light zaps unwanted guests like Cryptosporidium, Giardia, E. coli and other harmful waterborne pathogens that can lead to recreational water illnesses. Integrated water chemistry controllers automatically manage pH and sanitizer levels. These devices detect water chemistry levels and automatically dispense the necessary amount of pH-controlling or sanitizing chemicals. Today’s automation systems can also centralize control of cleaning and sanitation through a single interface. This enables pool owners to monitor and manage every major pool component without making frequent trips to the equipment pad. Instead, these systems rely on remote access via PCs and a wide variety of mobile devices. You can literally clean your pool from anywhere in the world and, when you return, go for a dip in water that is as clear and clean as it was when you left.